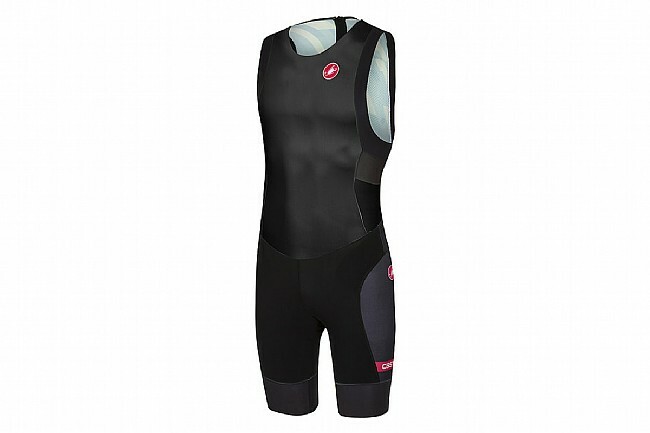 The Men’s Short Distance Race Suit features a sleeveless design with soft-finish arm holes and a rear 30cm YKK® zipper. Water-repellent SpeedFreak Dry and quick-drying Instadry Speed fabrics facilitate water and land speed. The minimal seat liner delivers on-bike comfort while the elastic Giro Air thigh grippers promote a properly snug fit.